Lisa joined the UCMP in July 2012 as Director of Education and Outreach. 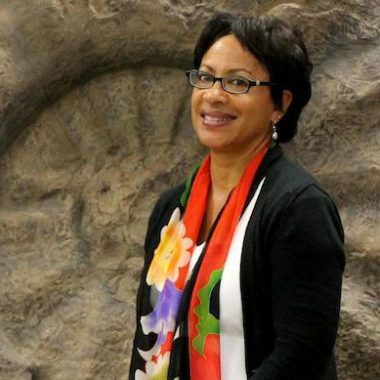 She comes to the UCMP after a 22-year history at San Francisco State University where she held positions of Professor of Geosciences and Associate Dean of the College of Science and Engineering. She taught undergraduate classes in paleontology, historical geology, and oceanography, and guided research projects with graduate students in Miocene diatoms of the Monterey Formation of CA, and fossil cold seep assemblages in the Franciscan Complex. As Lisa explains in a 2014 featured article in California Magazine, "my childhood home in San Francisco is a block away from the California Academy of Sciences in Golden Gate Park and I think frequent visits to the Cal Academy must have sparked an early interest in paleontology and geology. Directing the SF-ROCKS (Reaching Out to Communities and Kids with Science in San Francisco) program at SF State initiated ways of engaging diverse urban youth in field and laboratory experiences with the goal of generating similar interest and excitement in the geosciences." Lisa is continuing those efforts through leadership training programs in diversity, access, and inclusion such as FIELD, Fieldwork Inspiring Expanded Leadership and Diversity. "My history with the UCMP is interwoven with the Understanding Evolution and Understanding Sciences sites, having served on both project advisory boards. In my current roles I am connecting broader audiences with UCMP online resources." White, L.D., 2010. METALS: Minority Education through Traveling and Learning in the Sciences, NABBG Annual Technology Conference, September 2010. NABGG Conference Abstracts. Reed-Sterrett, C., Dekens, P.S., White, L.D., Aiello, I.W., 2010. Cooling upwelling regions along the California margin during the early Pliocene: evidence for a shoaling thermocline. Stratigraphy, volume 7. White, L.D., 2009. Techniques and tools for effective recruitment, retention and promotion of women and minorities in the geosciences. GSA Abstracts with Programs, 2009 Annual Meeting.